Any walk we ever do that includes the Minaun and its stunning views, invariable leads to a mention of Oliver Cromwell and his vow to take Ireland by Hook or by Crooke. Looking out the harbour we have the Hook peninsula in Co Wexford on the left and Crooke below Passage East Co Waterford on our right. I'm regularly challenged by well informed walkers who opine that of course Cromwell was not the originator of the phrase at all. The fact is there are many different origin accounts, but not much agreement. 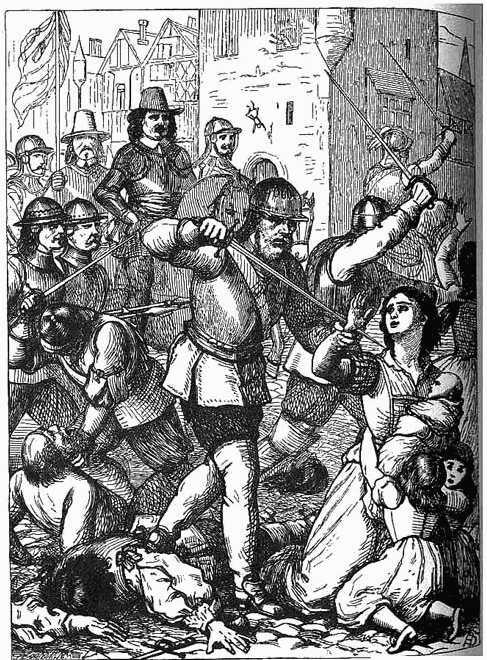 For example during the week I had a half hour to kill in Dungarvan and whilst in the local studies section read(1) that it was the invasion of Stronbow that created it. The story, which is accurate in geographical terms, states that when he came to invade in August of 1170 he had to choose from meeting his pals already encamped at Baginbun, on the Hook Peninsula, or to actually land (which he did of course) at Crooke. Yet another say it was a phrase coined by the Normans to illustrate that the two most acceptable landing points were via the land mark of the Hook or Crookhaven in Cork harbour. 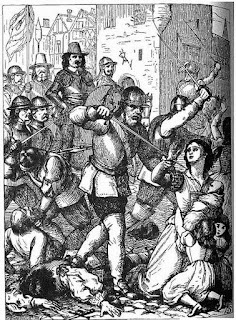 The Wexford Waterford campaign was a mixed bag for Cromwell. In late November 1649 Lieutenant General Jones first took Passage East Fort and then turned towards Faithlegg, where after a brief siege the castle fell and the Aylwards were hung from the trees in their own garden. 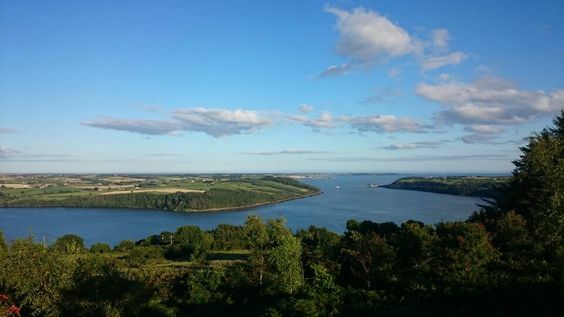 Cromwell was already at Waterford, but there is only the local lore that he came to Faithlegg, to offer terms to Aylward at Faithlegg Castle, and climbed on to the Minaun to view the harbour. Most online (and written sources) claim that the phrase originated in the feudal times of Norman rule. 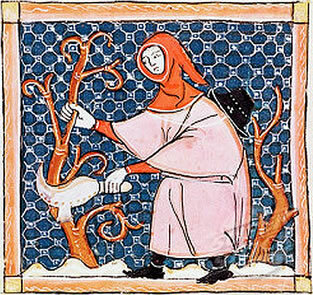 The vast majority I have read claim that it was a right (Fire Bote) that allowed peasants take firewood from the kings forests. Effectively by using a bill hook, which would only cut small pieces of timber, or by a shepherds crook, ie that they could pull down and take what could be reached with the assistance of this stick. A less popular account considers it the means of paying taxes, or tithes to the Manor. You could pay through the growing and harvesting of crops or by raising and keeping animals. In either case part of what you reaped with a hook, or made from the animals was forfeit to the manor. As the essence of the phrase is that something will be done by any means necessary I personally lean towards this account. But I don't have much support in that. The "scholars" on internet tend to agree that the phrase is an ancient one, and was used commonly by the 14th century as a expression with the same meaning as in modern usage. As a consequence even if Cromwell didn't coin it to describe his invasion plan it would be a difficult point for anyone to argue that he didn't employ such a common phrase as an expression of intent. And perhaps, or maybe even, surely, he reflected on the curious geographical similarity once he arrived. I have a great meas on local lore!